Jessica is a remarkable young woman whose passion for the arts is evident through her ever-developing portfolio of work. 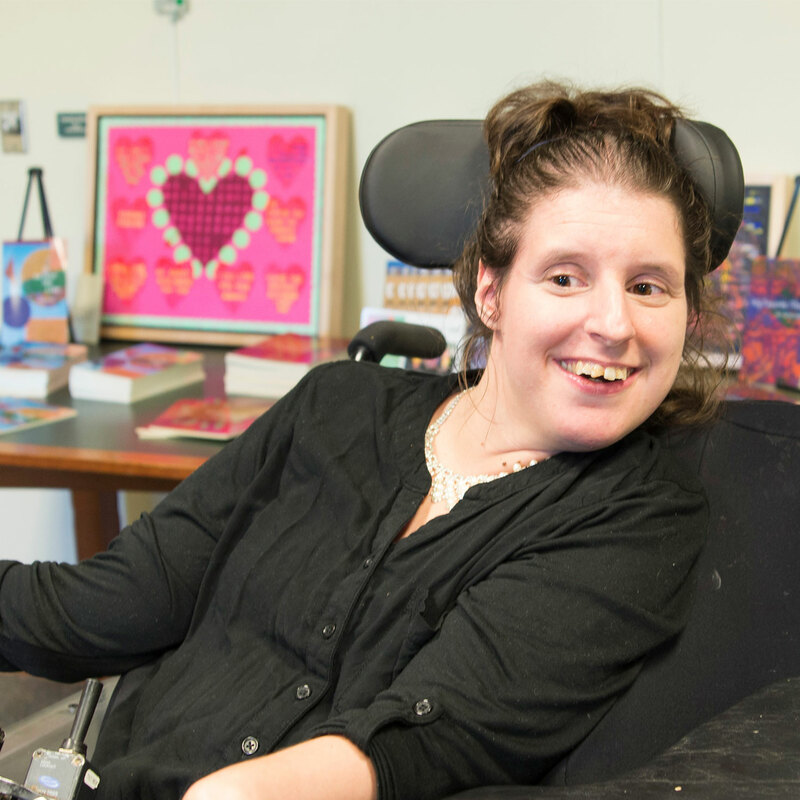 Jessica has been creating art with the Arts Access Program for nearly 10 years. She explores her creative vision through numerous mediums including the visual (painting and digital art), literary (creative writing) and performing arts (dance and drama). Often Jessica will cross the lines between mediums to execute multidisciplinary works. She has literally performed a dance on a painting to create a visual work, and has used the power of words in her work to offer deeper insight into her art. Jessica’s art is an unfiltered expression of self. Her work ranges in themes and ideas. Whether her work is warm and hopeful, fun and wacky, caring and compassionate, or thoughtful and expressionistic, it is always genuine. Jessica is an artist who demonstrates great dedication to her vision and continues to move forward with her art, taking every opportunity to create new works in writing, dance or painting. Her visual art has been shown at a number of exhibition venues including: Paper Mill Playhouse, Full Circle, Grounds for Sculpture, Visiting Nurse Association, Arts Unbound Gallery, Johnson & Johnson and Bernardsville Library.